Learn how to program remote controls and how to clean door panels. Excellent tips about garage doors. If you have garage door extension springs, it is recommended to buy cables too. If the springs break, the cable will contain it. Thus, it won’t cause any damage or injury. You can just have it replaced as soon as you notice it. Sometimes, you encounter struggling doors. This happens when the door just keeps on going back and forth. 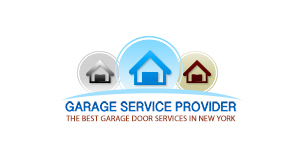 The best thing to do according to Garage Door Mamaroneck experts is to check the springs. Inside, there might be a broken part that has to be replaced. The garage door is not a toy or an obstacle course. No matter how tempted you are to pretend to be an action star and race the garage door as it closes, it is not a good idea since it can cause major physical injuries which you will regret later. This poses both safety and security risks. In an open position, the door may close accidently and cause injury to a person or damage to an object. Furthermore, a partially open door makes it extremely easy for intruders to get into your garage and then into your house. It is as if you are inviting thieves home.